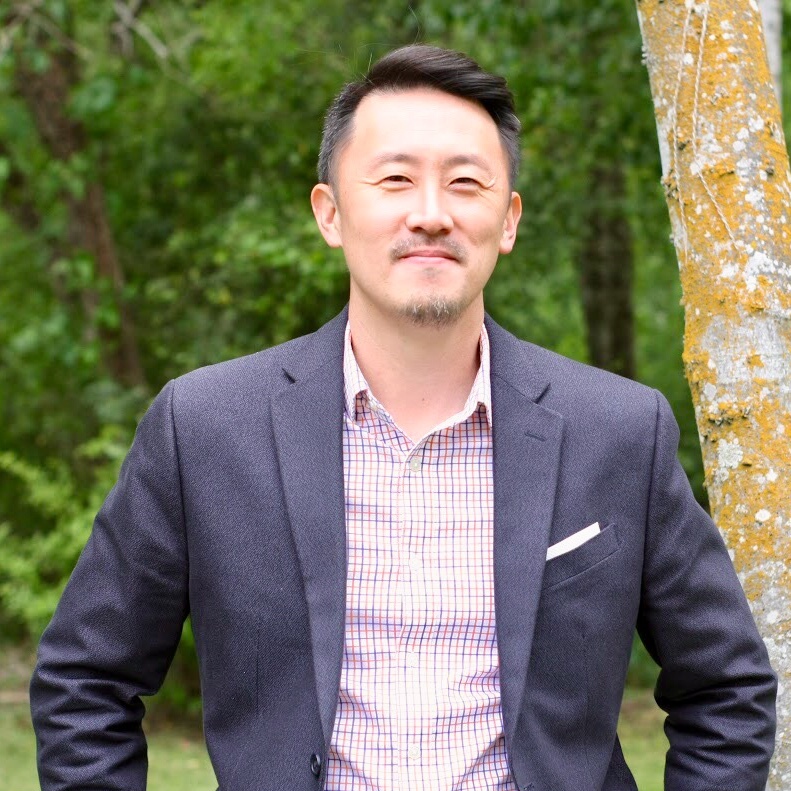 Woven Church began in the summer of 2014, when 30 adults and 20 children launched out of an ethnic community to establish a cross-cultural and multiethnic expression of faith that would share the Gospel Story and the love of Christ with the increasingly diverse demographics of Houston. Meeting in Pastor Wayne & Ashley's home that first summer, they learned to break bread together, trust each other, cry together, grow together, and experience the miraculous together. Today, Woven is a growing church finding our influence in this city we love. We are an increasingly diverse community now, with people from all walks of life, cultures, ethnicities, and backgrounds, truly growing to become a reflection of the changing city around us, and we intend to continue going deeper into our mission of desegregating Sunday and sanctifying Monday to Friday. We are a member congregation of the Evangelical Covenant Church (ECC). When new members join a Covenant church such as Woven, they are asked two questions about belief: “Do you confess Jesus Christ as your Savior and promise to follow him as Lord?” and “Do you accept the Holy Scriptures, the Old and New Testaments, as the word of God and the only perfect rule for faith, doctrine, and conduct?” They are then asked if they intend to live as faithful followers of Christ and members of the church and denomination. If you'd like to learn more about the Evangelical Covenant Church, click here. Wayne Park is constantly thinking about issues of faith, place, race and culture-making in the vast city of Houston, TX. He has a Master of Divinity from Regent College (Vancouver), and a Bachelor of Fine Arts from Parsons School of Design in NYC. He is an ordained minister with the Evangelical Covenant Church. Wayne is nothing without his wife Ashley and his two children Austin & Zoe. He owns a Jack Russell terrier. He writes at waynepark.com. He plays volleyball twice a week and loves gardening to keep his serenity. Our “musician-in-residence”, Bobby is an insanely gifted self-taught guitarist. A native Houstonian, he has led worship at numerous venues here in Houston as well as gigged locally and abroad. His band, Tokensway, travels throughout the South leading retreats and doing gigs. Bobby is their connection to thrashing lead guitar riffs, creative solos and songwriting, and vocals. His influences range from James Taylor to Coldplay, from black southern gospel to Caedmon’s Call. Bobby has also authored a children’s books and performs live for youth audiences. Ashley has been a co-pastor for a large youthgroup of about 200 teenagers at the church where she grew up near Washington DC and has worked with young people all throughout her ministry career. She graduated from Virginia Tech in 1998 with a Bachelor of Science double majoring in Family / Child Development and Psychology. Upon graduating, she went to work with Youth With A Mission in the metro New York area organizing retreats for youth up and down the East Coast. There she also met Pastor Wayne whom she would marry in 2002. 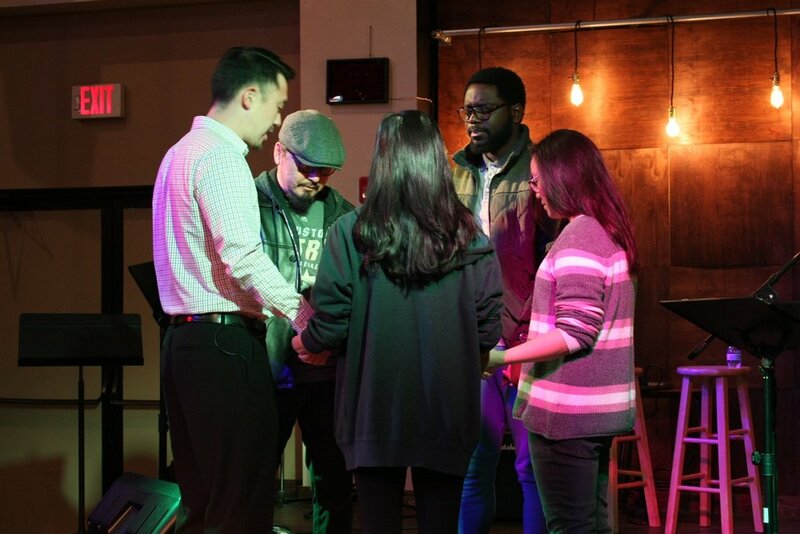 Together they continued their work in Seattle, WA, ministering to young people and mobilizing them in mission to places like Nepal, China, West Africa, and Eastern Europe. Today her gifts and experiences coalesce into a multi-faceted calling of being a mother, co-teaching 3-yr olds at Crosspoint Christian (Pre)School, and pastoring our children at Woven. "After this I looked, and behold, a great multitude that no one could number, from every nation, from all tribes and peoples and languages, standing before the throne and before the Lamb, clothed in white robes, with palm branches in their hands"